StudentUniverse have long been targeting the student market, spreading awareness of their brand and offering. 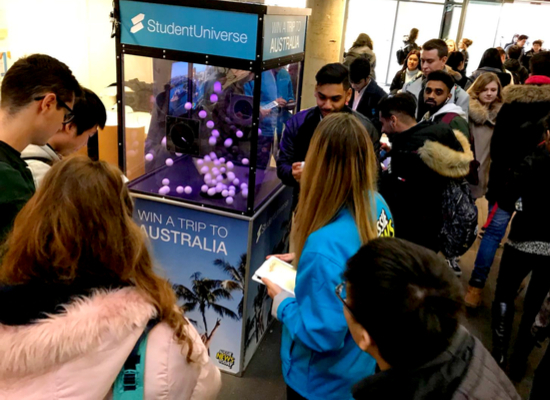 With a chance to win amazing return tickets to destinations across the globe, students simply loved the brand and StudentUniverse experienced amazing success at Freshers Fairs across the years. 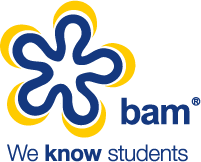 Something we always talk about here at BAM is keeping the message alive and the fact that students are for life not just for Freshers. Whilst Freshers is the pinnacle time of year to target this savvy demographic, it is important to continue connecting with them throughout University and beyond. After the success of StudentUniverse’s GetMeToOz campaign of 2017, they were keen to maintain engagement with a campaign targeting term 2 of the academic year 2017/18. With the objectives and locations set, we were ready to start putting the “AussieNewsToday” tour on the road. How did we make a splash on campus? 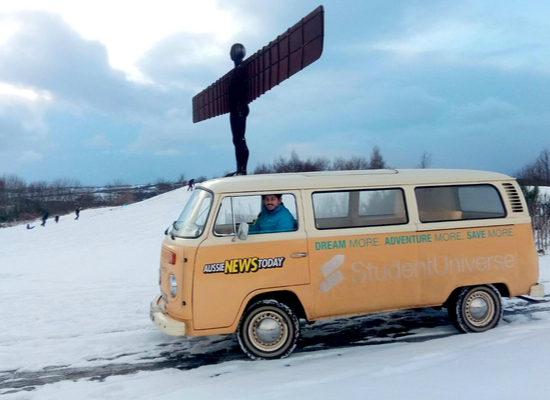 Our specially recruited team of enthusiastic promotional staff drove a fully branded awe inspiring campervan to the designated locations across the UK. The campervan certainly created a buzz on campus! 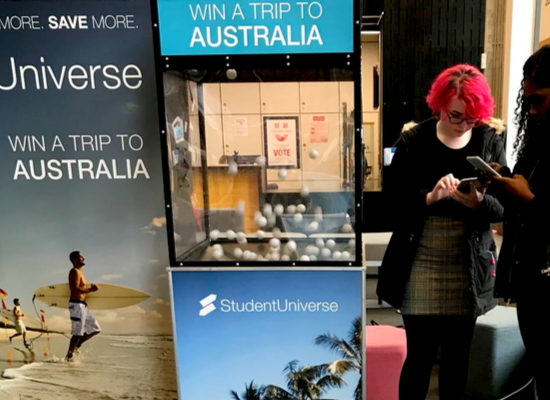 Not content, our team also took with them a handball machine where students competed for the chance to win an amazing trip of a lifetime to Australia. The on campus activity was supported by digital media through the Students’ Unions to create excitement for the tour arriving and to further enforce the brand message. Taking full advantage and making the most of the campervan, we organised a host of PR days which involved the campervan visiting some of the UK’s most renowned landmarks. The campervan certainly got around and this created the media buzz we had hoped for. This certainly was a fun campaign for us to work on and we love working with StudentUniverse. However the campaign was not without its challenges. Along the way we faced not only lecturer strikes but two snow storms! But at BAM we do not let anything stand in our way of delivering for our clients and the results of this epic campaign saw every objective being achieved and one very happy client! We can’t wait to get started on the next adventure.